There is always humming from somewhere. It is usually low and musical as patients try to distract themselves from phantom limb pain that is not at all phantom. It is 13 days after the earthquake. I am coordinating a 12-member team at St. Marc’s hospital, a government facility on the west coast of Haiti. For the 2 years prior to the quake, Partners in Health has supported the site with materials and salary. An orthopedic surgeon, a plastic surgeon, an anesthesiologist, an emergency room physician and five nurses are with me from the Brigham and Women’s Hospital in Boston. There is a friendly Haitian pastor who walks daily into the medical ward. He raises his hands and prays loudly in Creole for roughly 4 minutes. I only understand the “Amen!” at the end. He always shakes my hand before he leaves the room. Many people here think the quake is divine intervention for lives lived wrong. The first few days lacked nuance. Limbs required amputation and open fractures, fixation. Patients were prioritized based on their likelihood of death now, or later. There are roosters and dogs at five in the morning. There is a generator running outside. They wake us up. There is the beeping of one of our only portable oxygen monitors as a baby’s saturation starts to dwindle. We have lost three babies in 3 days from dehydration, cerebral malaria and bowel obstruction. None of these is strictly earthquake related. Now we reshuffle and reprioritize the massive case load of wound debridement, skin grafts and fractures, weighing them against other crises that enter continuously through the door. After seeing a third child this week die of pneumonia, or dehydration or cerebral malaria, we clearly understand that this country existed in a state of emergency long before the earthquake: an emergency without enough witnesses. The earthquake exacerbated an existing bleed. The country is now hemorrhaging. There is the rapid, open mouth pant of asthmatic children, of anxious and anemic mothers, of old men in heart failure. Over the last few days, challenges have mounted. We balance tending the flood of patients created directly by the earthquake and treating the ongoing everyday trauma, heart failure, diabetic coma, malaria and severe dehydration of a destitute population. Each day, we are challenged by running one hospital—not two parallel American and Haitian hospitals. Our goal is one Haitian hospital with lasting effects benefitting the population long after we leave. There is the click-clank of walkers as so many amputees start to ambulate. They break into a grimace, smile, laugh as so many get up for the first time since the earthquake. French Creole music blares from the headphones of the 15-year-old amputee as I come to round on her in the late afternoon. How the hell are the Haitian people so tough? How did they absorb the brutal shaking of the earth into their bones, and still endure? The last few days reveal what they have always had to deal with—death from dumb, treatable diseases. Haitians have always known their lives were not entirely or even mostly in their hands. The earthquake was more proof, brutal and all at once. In the fog of all that is chaotic and difficult, I witness an awe-inspiring collaboration among so many people that imbues in me a certain deep faith in humanity. There is the general absence of any sound of any violence. Necrotizing fasciitis liquefies the muscles of one of our sickest patients. He sinks into sepsis, barely arousable, but his pulse remains strong. We quickly run out of options in this hospital. Through a friend of a friend, we contact the Canadian Embassy. The Canadians immediately send a helicopter, which lands on a nearby soccer field. There is the barely audible guttural grunt of acceptance from his family member, who agrees to transport to Canada or the USNS Comfort for a higher level of care. Families are unable to accompany patients during transport for reasons beyond my control. This is the height of vulnerability, of powerlessness. For the hope of healing, Haitians routinely give up their own into the hands of an unknown skilled foreigner who takes them somewhere other than Haiti. We make our way to the secure field. As we load our patient onto the helicopter, Haitians hang off the fence in all directions to catch a glimpse—hundreds of them. We get airborne and make our way 40 minutes in the chopper to the USNS Comfort, a military ship that has the capabilities of a full-fledged fancy US hospital, including operating rooms. An entire massive US military ship dedicated to Haitian patient care. Not an occupation, not men with guns who parade around a foreign land like they own it. The ship contains a solid trauma bay with some of the best American doctors. As we leave our patient and rise into the air, I think that maybe the United States can rewrite its sordid history on this island. Maybe the USNS Comfort and the dedicated Americans I have met over the last 2 weeks represent that shift. I am not sure what the 10,000 foot plan looks like. Development and implementation of a successful plan will require direction, prioritization and commitment on the part of both Haitian and international leaders. Meanwhile, the Haitians are gritting their teeth and starting to walk on their one foot. Amazing medical teams from around the world are ready to accompany them, hobbling slowly and surely together to some better horizon. 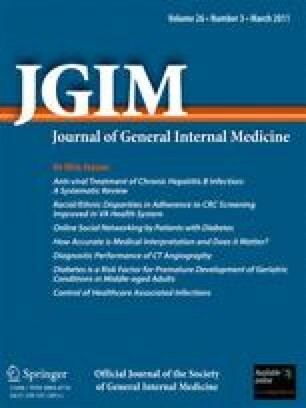 I would like to acknowledge the JGIM editorial team for its assistance with this piece.